Jack, Ace Chance, and Shanghai Peg each play unexpected parts in the conclusion to Harold Gray's most sophisticated story of the 1930s. Plus, Annie encounters the gangster Nick Gatt and is captured by the international criminal mastermind named Axel. Can "Daddy" save her? 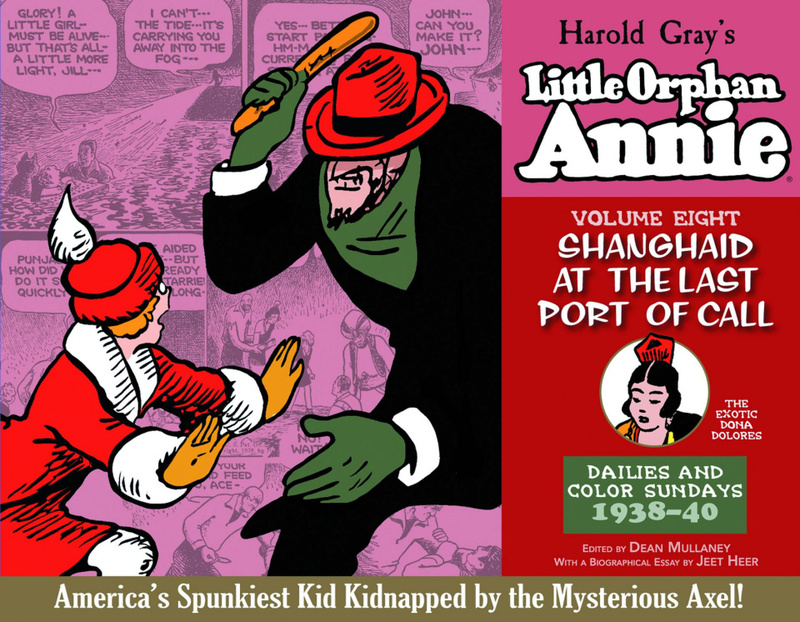 ?He brings along some heavy-duty help-Punjab, the Asp, and "Daddy's" old pal, Wun Wey-but things don't turn out as expected in Volume Eight of The Complete Little Orphan Annie. Contains all strips from June 9, 1938 - February 28, 1940.